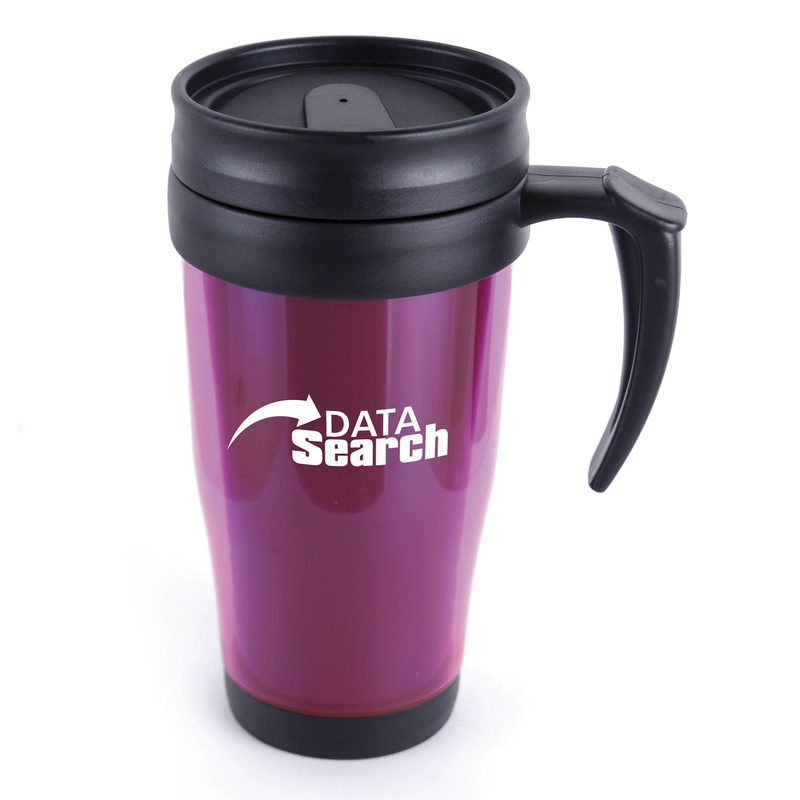 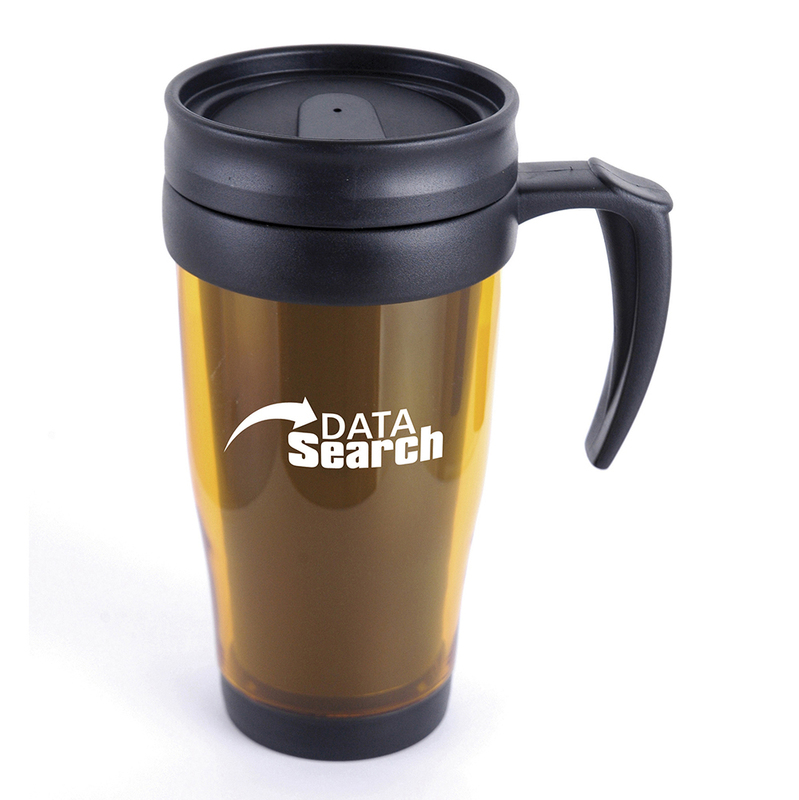 Description: 400ml Plastic double walled travel mug with screw on lid and sip cover. Available in a variety of translucent colours. Product Size 170 x 87 mm dia.